In Israel we are rather informal and unlike the Japanese we do not place a great deal of emphasis on titles. I was recently asked to speak at the Seniors Center and was asked for my title, I said, Please, no titles. In Israel if you see the Prime Minister and Yell out "Hey Bibi!" it is not considered disrespectful. But the title does mean something. When you refer to someone as "Master" or "Grand Master" that does mean something and it is very very important. Whether you use the term or not the term means that you accept this individual as an authority, a trusted leader. When someone is the master of the system it does mean a great deal; it means that you yield to his leadership and knowledge. It means you confer with him in case of doubts. It means you have someone you can refer to. This is indeed a wonderful concept. As my teachers, mentors, role models slowly pass from this earth I miss having someone I can confer and consult with. The Talmud says "Make yourself a teacher", that means everyone should have someone to look up to, someone they can turn to with questions. With the passing of my elders and role models I miss this relationship. I recall when my great aunt Violet passes away, the last of the five "Levine Sisters" my mother was deeply saddened. She said "There is no longer anyone who will treat me as a little girl, rebuke me, speak down to me as the younger person." (although this relationship is not age dependent at all). The point is that to have a teacher is life saving. To be part of a system, a community, a way of life, is and has always been a cornerstone of human life and development. Even monks live as a community. As part of a community we accept certain guidelines. When I was a young child I had a best friend named Danny. Although Danny was Jewish like me his family was not religious and did not observe the Jewish dietary Kosher laws. His mother respected our way of life and made sure to always serve me only kosher food. This upset me. To me as a young child it boild down to this: Why can Danny have chocolate milk with his salami sandwich and I cannot? My mother responded, "These are the laws that we live by. When you get older you will understand." We do not always understand every detail of the system we live in. Certain things will make sense to us and certain things will not, but if we believe in the system we accept the totality of the system. We may not understand at first why we must have our car pass an annual test, or pay road taxes, or renew our drivers license. But we must, if we wish to live within organized society. We may not always understand the need for every rule, not every detail will make sense to us. But if we believe in the system we learn to trust the system to a certain extent. Take the Jewish Biblical laws as an example. We can all understand being kind and compassionate to the widow, the orphan, the weak ones in our midst. OK. Helping a stranger, an outsider is a little more difficult to understand but we learn to trust the system and soon we understand that this compassion creates a better society for all of us. Soon we understand that if we accept and follow the totality of the laws the system will work and we will have what is known as a Good Neighborhood while others suffer in a Bad Neighborhood and can't' figure out why. This does not mean we never question anything, it means that we trust the system and work within it. No other system of law known to me has as many people asking questions as the Jewish system. In fact we have an entire body of law know as "Responsa", these are countless volumes of questions that religious God fearing Jews have sent to rabbis over the years. The Responsa books show the questions and the answers. We believe in questions but we accept the totality of the system. Now the difficult part is that while the red heifer purified the impure it also paid impure the pure Cohen who brought the sacrifice. Thus the same ashes made one pure and one impure. Simply put this is illogical. For centuries the rabbis have pondered this point and have basically understood this as a Chuka, a law that makes no sense but was simply given for us to follow as a measure of faith. This means we follow it not because it makes sense to us, but because we accept the system, in its' totality. We understand that there will always be some details that are difficult to understand but we accept the authority of our leaders and we work with thin the system. The extensive history of Responsa is proof that we encourage questions, but yet we work within the system. It is like Mr. Miyagi, he tells Daniel San "No questions" but what he really means is "Accept me as your teacher, respect my knowledge and I will guide you, do not interrupt me while I am teaching you the path." In martial arts this means that you allow the teacher to teach, at his pace, as he sees fit and correct. This means do not interrupt him, he has a plan, a system. If you trust him you will see how it all makes sense in the end. Like with Mr. Miyagi, the wax on was off drill made no sense to the student Daniel and only later he understood the wisdom of this. Trust your teacher. Having a master means you have someone you can consult with. You have someone you trust and you can direct your questions and doubts to him, this is our "Responsa". It means you should not be changing and modifying techniques on your own based on what makes sense to you at this moment. You have a teacher! Often you will see a technique on YouTube, or you will see a technique being taught by another instructor which is part of a totally different system with a totally different mindset, you may think, Oh, this looks nice, I will incorporate this into my Krav Maga class. But you might not see the totality of the picture, you may not understand why doing this is harmful to your students and your self defense teaching. That is why you have a Master. Consult with him! Perhaps you see only a small piece of the puzzle, yes this technique seems nice. But perhaps your Grand Master is possibly, just maybe, already familiar with this technique, perhaps he has reasons for not using this. In Japanese the title Sensei means one who has come before you, one with a little more experience than you, one who has traveled a little further down this particular path than you have. If you have chosen to train with this instructor, to receive his knowledge, (In person, video, DVD etc) than perhaps you can also trust him enough to ask him if a technique is not working for you. I turn to our rich and glorious Jewish tradition: The legacy of Responsa, it never is a challenge, it is always a humble Jew seeking the wisdom of a rabbi. It is always in the form of; something is not making sense to me, perhaps I have misunderstood? or, I am facing a situation that I do not know how to deal with, perhaps the rabbi can guide me? And you wonder why Jews make such good lawyers? We are trained in the art of asking questions from our youth. Responsa Latin: plural of responsum "answers", comprise a body of written decisions and rulings give by legal scholars in response to questions addressed to them. The Responsa literature covers a period of 1,700 years—the mode, style and subject matter have changed as a function of the travels of the Jewish people and of the development of Jewish life. The questions forwarded are usually practical, and often concerned with new contingencies for which no provision has been made. Does this sound a lot like IKI Krav Maga? (And yes, we are different). 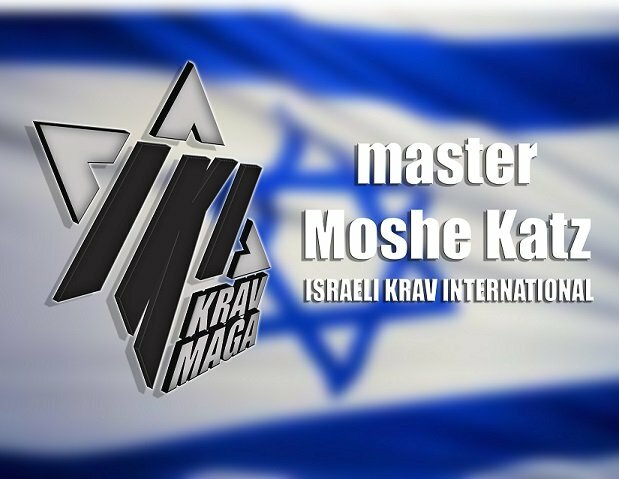 The fastest way to become proficient in personal self defense is to spend two weeks with us in Israel and immerse yourself in Krav Maga training. Defense vs hand gun, knives, sticks, long weapons.